Please select one of the sections above to get started. Financial Information Systems offers training free of charge to UCSC staff. Please note: these trainings are held at the UC Santa Cruz, Scotts Valley Center located at 100 Enterprise Way, Scotts Valley, CA. Participants do not need a parking pass, but should park in Visitor Parking. The class will gather in the lobby 5 minutes before the training begins. With successful completion of this training, the trainee has demonstrated basic competency in navigating and viewing documents in the UCSC BANNER Financial Information System (FIS).  A half-day training offered to UCSC employees. This training is of benefit to anyone who transfers expenses in FIS. With successful completion of this training, the trainee has demonstrated an understanding of their responsibility and accountability for processing any expenditure adjustment while using the UCSC Financial Information System (FIS) to prepare, approve and locate on-line financial journals. Description: Class for users involved in the Transfer of Funds (TOF). A half day course offered to campus employees by the Planning and Budget Office. This course is of benefit to anyone viewing their budget in FIS. With successful completion of this training, the trainee has demonstrated basic competency in using the UCSC Financial Information System (FIS) to view and understand budget related screens. Additionally, the trainee will have an overview of the UC budgeting process and accounting sequence structures. Description: Class for users involved in the Liquidation of Purchase Order Encumbrances. A two hour class that explains the journal process to close out purchase orders or requisitions in order to release encumbered funds. An Encumbrance is the name given to funds that have been reserved when a purchase order is approved. When a requisition is processed, funds are placed aside for the transaction. Those funds are no longer available for use in other transactions, and are not included in the Ledger balance. The purpose of encumbrance accounting is to avoid budget overspending. This class teaches how to release any remaining funds once the purchase order is no longer needed. Enroll online at least five business days before the training start date. CruzID Gold is required to access web forms. If you are unable to attend a training, please email to cancel your enrollment at least five business days before the training. A confirmation email will be sent to you upon registration. Please email fistraining@ucsc.edu if confirmation has not been received. Please remember to complete all prerequisites before attending a training.